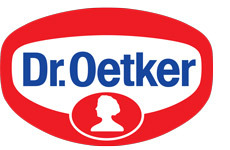 Dr. Oetker Nahrungsmittel KG is committed to helping children find well-being and joy no matter what their life circumstances. Dr. Oetker and SOS Children’s Villages have developed long-term local partnerships in over 20 countries to help families create loving homes where children can be children. The company has supported SOS Children’s Villages' work for children in various ways, including financial support for the daily lives of SOS families, renovating kitchens in SOS family homes (complete with fresh-baked cookies), local cause-related marketing campaigns, Facebook promotions and baking and decorations activities with a strong engagement of their employees.